Reducing inflammation in the plantar fascia ligament is an important part of treatment, though this does not address the underlying damage to the ligament. Initial home treatment includes staying off your feet and applying ice for 15 to 20 minutes three or four times a day to reduce swelling. You can also try reducing or changing your exercise activities. Using arch supports in your shoes and doing stretching exercises may also help to relieve pain. Nonsteroidal anti-inflammatory drugs (NSAIDS), such as ibuprofen (i.e. Motrin or Advil) and naproxen (i.e. Aleve), are often used to reduce inflammation in the ligament. If home treatments and over-the-counter anti-inflammatory drugs don’t ease the pain, an injection of a corticosteroid directly into the damaged section of the ligament can be given. Your doctor can do this in his or her office. Your doctor may use an ultrasound device to help determine the best place for the injection. Corticosteroids can also be administered on the skin of your heel or the arch of your foot, and then a painless electrical current is applied to let the steroid pass through your skin and into the muscle. Physical therapy is an important part of treatment for planter fasciitis. It can help stretch your plantar fascia and Achilles tendons. A physical therapist can also show you exercises to strengthen your lower leg muscles, helping to stabilize your walk and lessen the workload on your plantar fascia. If pain continues and other methods aren’t working, your doctor may recommend extracorporeal shock wave therapy. Sound waves are bombarded against your heel to stimulate healing within the ligament. This treatment can result in bruises, swelling, pain, and numbness, and has not been proven to be consistently effective in relieving symptoms. Physical examination is the best way to determine if you have plantar fasciitis. Your doctor examines the affected area to determine if plantar fasciitis is the cause of your pain. The doctor may also examine you while you are sitting, standing, and walking. It is important to discuss your daily routine with your doctor. An occupation in which you stand for long periods of time may cause plantar fasciitis. An X-ray may reveal a heel spur. The actual heel spur is not painful. The presence of a heel spur suggests that the plantar fascia has been pulled and stretched excessively for a long period of time, sometimes months or years. If you have plantar fasciitis, you may or may not have a heel spur. Even if your plantar fasciitis becomes less bothersome, the heel spur will remain. Each time we take a step forward, all of our body weight first rests on the heel of one foot. As our weight moves forward, the entire foot begins to bear the body’s weight, and the foot flattens and this places a great deal of pressure and strain on the plantar fascia. There is very little elasticity to the plantar fascia, so as it stretches only slightly; it pulls on its attachment to the heel. If the foot is properly aligned this pull causes no problems. However, if the foot is “pronated” (the foot rolls outward at the ankle, causing a break down of the inner side of the shoe), the arch falls excessively, and this causes an abnormal stretching of the relatively inflexible plantar fascia, which in turn pulls abnormally hard on the heel. The same pathology occurs with “supination” (the rolling inward of the foot, causing a break down of the outer side of the shoe). Supinated feet are relatively in flexible; usually have a high arch, and a short or tight plantar fascia. Thus as weight is transferred from the heel to the remainder of the foot, the tight plantar fascia hardly stretches at all, and pulls with great force on its attachment to the heel. Over-the-counter Orthotics. A soft, over-the-counter orthotic (Prefabricated orthotic) with an accommodating arch support has proven to be quite helpful in the management of plantar fascia symptoms. 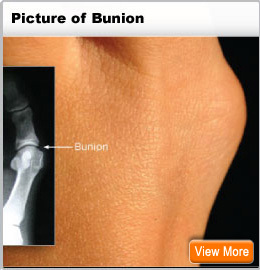 Studies demonstrate that it is NOT necessary to obtain a custom orthotic for the treatment of this problem. Comfort Shoes. 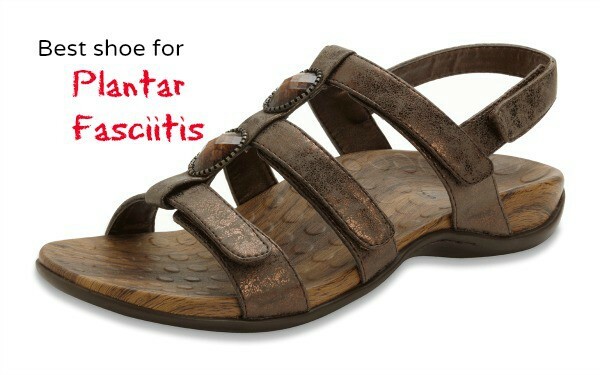 Shoes with a stiff sole, rocker-bottom contour, and a comfortable leather upper combined with an over-the-counter orthotic or a padded heel can be very helpful in the treatment of plantar fasciitis. Anti-Inflammatory Medication (NSAIDs): A short course of over-the-counter anti-inflammatory medications may be helpful in managing plantar fasciitis symptoms providing the patient does not have any contra-indications such as a history of stomach ulcers. Activity Modification Any activity that has recently been started, such as a new running routine or a new exercise at the gym that may have increased loading through the heel area, should be stopped on a temporary basis until the symptoms have resolved. At that point, these activities can be gradually started again. Also, any activity changes (ex. sitting more) that will limit the amount of time a patient is on their feet each day may be helpful. A night splint, which keeps the ankle in a neutral position (right angle) while the patient sleeps, can be very helpful in alleviating the significant morning symptoms. A night splint may be prescribed by your physician. Alternatively, it can be ordered online or even obtained in some medical supply stores. This splint is worn nightly for 1-3 weeks until the cycle of pain is broken. Furthermore, this splinting can be reinstituted for a short period of time is symptoms recur. Plantar fasciitis is the most common cause of heel pain. The plantar fascia camera.gif is the flat band of tissue (ligament) that connects your heel bone to your toes. It supports the arch of your foot. If you strain your plantar fascia, it gets weak, swollen, and irritated (inflamed). Then your heel or the bottom of your foot hurts when you stand or walk. Plantar fasciitis is common in middle-aged people. It also occurs in younger people who are on their feet a lot, like athletes or soldiers. It can happen in one foot or both feet. Plantar fasciitis is the most common injury of the plantar fascia and is the most common cause of heel pain. Approximately 10% of people have plantar fasciitis at some point during their lifetime. It is commonly associated with long periods of standing and is much more prevalent in individuals with excessive inward rolling of the foot, which is seen with flat feet. Among non-athletic populations, plantar fasciitis is associated with obesity and lack of physical exercise. The most obvious symptom of plantar fasciitis is a sharp pain on the bottom of the foot, near the heel. Here are some signals that this pain may be plantar fasciitis. The pain is strongest first thing in the morning but gets better after a few minutes of walking around. The pain is worse after standing for a long time or after getting up from sitting. The pain develops gradually and becomes worse over time. The pain is worse after exercise or activity than it is during activity. It hurts when stretching the foot. It hurts when pressing on the sides of the heel or arch of the foot. Surgery is rarely used in the treatment of plantar fasciitis. However it may be recommended when conservative treatment has been tried for several months but does not bring adequate relief of symptoms. Surgery usually involves the partial release of the plantar fascia from the heel bone. In approximately 75% of cases symptoms are fully resolved within six months. In a small percentage of cases, symptoms may take up to 12 months to fully resolve.